If you would love to have a more attractive smile yet fear of invasive cosmetic dentistry or the inability to afford more permanent options is keeping you from your flawless smile, you are not alone. To overcome these concerns and provide an instant smile makeover, the Snap-On Smile® was created. The Snap-On Smile® is simply a patented arch that you can wear seamlessly over your own teeth whenever wanting to look your best. Unlike other temporary dental veneers, the Snap-On Smile® was designed with state-of-the-art technology to provide an affordable, removable and natural looking smile. Who Can Benefit from A Snap-On Smile®? Anyone who dislikes their teeth and craves a picture-perfect smile can quickly enjoy a Snap-On Smile®. Those on a restricted budget need not be embarrassed about their teeth any longer, as the Snap-On Smile® is an affordable cosmetic solution attainable for everyone. While Invisalign clear braces, teeth whitening or dental implants are certainly more permanent solutions favored by many, if time and expediency are more important to you, then a Snap-On Smile® may be the right solution. Dr. Lousine Kirakosian can discuss the advantages of each treatment program and help you weigh your options during your consultation. Some patients who opt for permanent restorative dentistry solutions may even start with a Snap-On Smile® as an interim remedy as well. There is simply no comparison to a Snap-On Smile®. The exclusive material used is thinner yet stronger than generic versions, providing superior durability, quality and resistance to stains. As we professionally fit your arch, you will also experience the utmost of comfort combined with the most natural look. 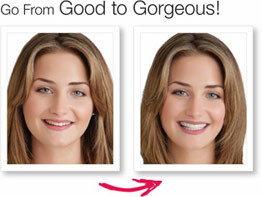 Once you decide that you want a Snap-On Smile®, getting that perfect Hollywood smile is easy. After Dr. Kirakosian guides you in shade and style selection, an impression will be made and in a couple of weeks, you will be able to just snap it on and enjoy the confidence boost and freedom of this life-changing tool.